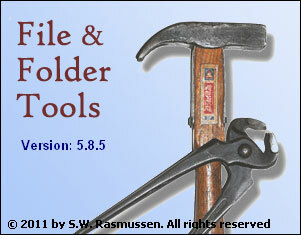 File Folder Tools is a collection of functions for manipulating files and folders. Included are functions for intelligent batch changing file names and dates. Also creates and prints file indices of folders located on hard disks or CD's.